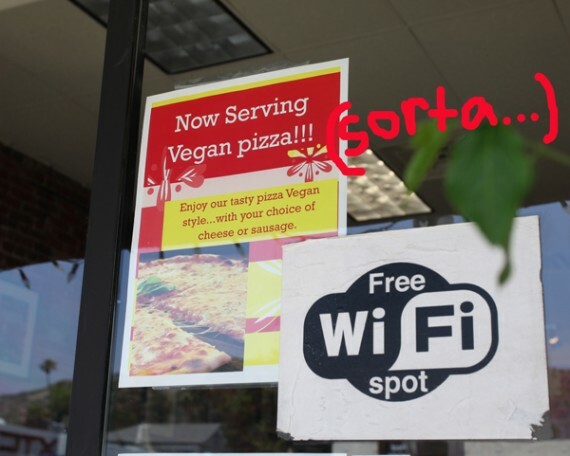 a couple days ago, i got an email from a vegan who lives in eagle rock telling me i had to check out corner pizzeria. 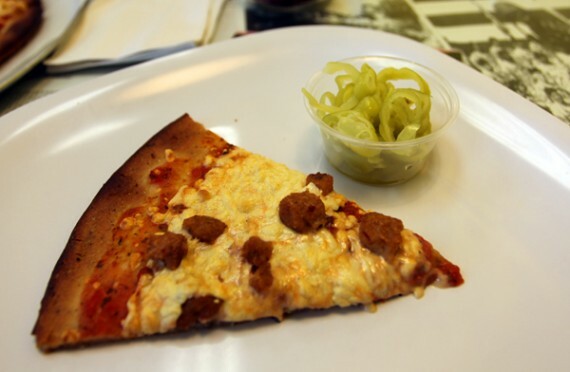 he said they’d just started carrying daiya cheese and vegan sausage, and that the pizza was amazing. sure enough i headed out to corner over the weekend, and was delighted as i approached the building and saw a sign advertising vegan pizza.